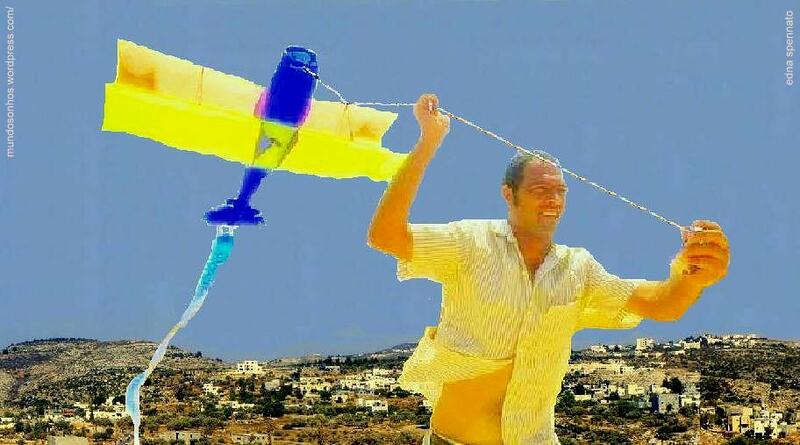 Remembering Bassem of Bil’in Edna Spennato 2010. 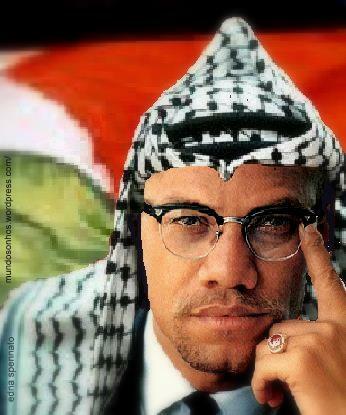 Also published at Palestine Think Tank, Earth Heal, Window Into Palestine, Uprooted Palestinians. 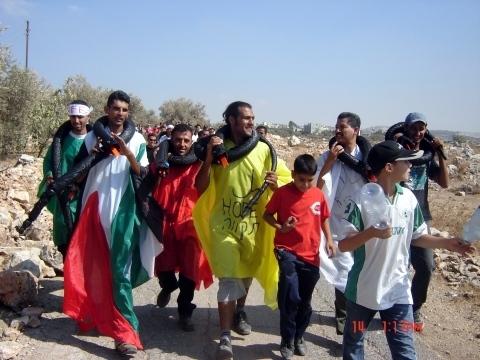 In memory of Bassem Abu Rahma of Bil’in Village, killed by an IDF soldier on 17 April 2009, during a peaceful demonstration against the apartheid wall. Almost a year earlier in July 2008, Bassem’s brother, Ashraf, survived a close-range shooting by the IDF while detained and blindfolded, which was also filmed (more info below). Watch this beautiful video that his friends made about Bassem’s life. 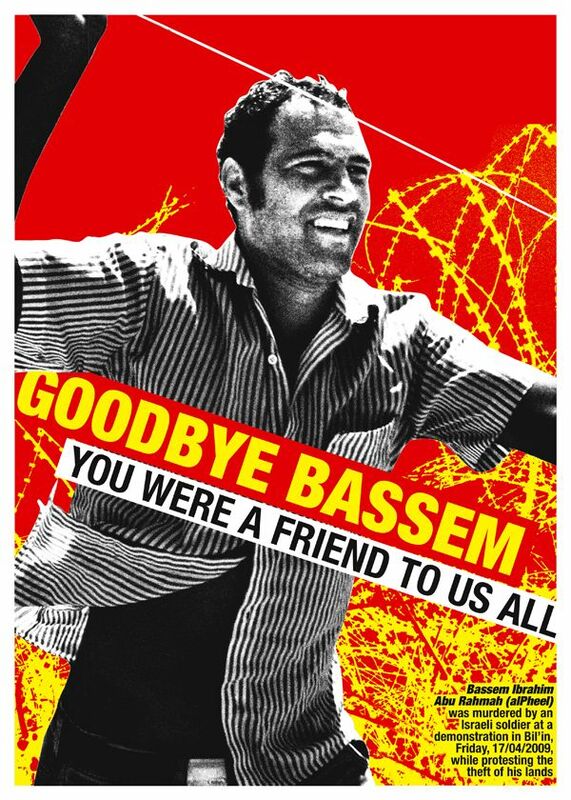 Bassem Ibrahim Abu Rahmeh (a.k.a. Phil), a 30 year-old Bil’in resident, was killed this Friday during a demonstration against the wall, after Israeli soldiers shot a high-velocity teargas projectile directly at him. 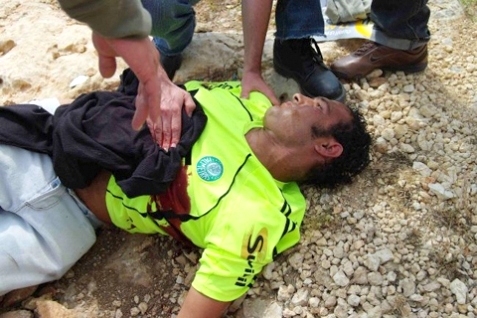 As can be seen in the video above, Bassem was standing on a hill alongside several journalists, removed from the main body of the demonstration, when he was hit in his chest by the special, “extended range” teargas projectile, which was fired without provocation from a distance of about 40 meters by troops positioned behind concrete blocks and on the other side of the separation barrier. Seconds before the shooting, Bassem had been pleading with the soldiers to hold their fire, shouting “we are in a nonviolent protest, there are kids and internationals…”. He was shot before he could finish the sentence. According to eyewitnesses, the impact from the projectile knocked him over and left a gaping hole in his chest. As there was no ambulance at the scene, he was driven to a Ramallah hospital in a private car, but died less than halfway there from the injury, blood flooding his lungs. News of his death reached the village just as the last of the demonstrators were leaving the site of the protest, next to the separation barrier. The teargas projectile in question is the same kind that critically injured American national Tristan Anderson at a demonstration in Ni’lin on the 13th of March, after he was hit in the head from approx. 60 meters. Tristan remains hospitalized in Tel HaShomer hospital in Tel Aviv. Bassem Abu Rahmeh, a well-known and frequent participant in the village’s four year long battle against the Wall, is the first Bil’in resident and the 18th Palestinian in total to be shot dead during a demonstration against the Apartheid Wall. His funeral took place on Saturday afternoon, after his body was carried on a cloth stretcher all the way from a Ramallah hospital to his village of Bil’in, accompanied by hundreds of mourners. The funeral itself was attended by over a thousand people, including Palestinians from neighboring villages as well as international and Israeli friends and activists. 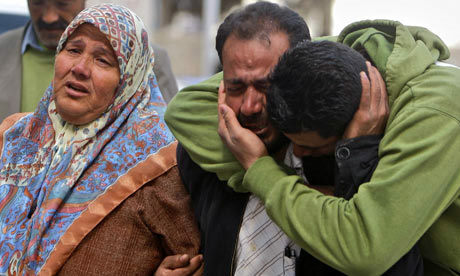 Israel’s military said Thursday 01-04-10 it will not file any charges in the death of a Palestinian protester last year. A Palestinian demonstrator was killed today when he was hit by a teargas canister fired by Israeli forces during a weekly demonstration against the West Bank barrier. Bassem Abu Rahmeh, 29, was hit in the chest by a high-velocity gas canister during the protest in Bil’in. For the past four years Bil’in has been the scene of a weekly demonstration against the barrier, which cuts the village off from a large slice of its farmland. Abu Rahmeh was taken to hospital in Ramallah but died of his injuries. The Israeli military said it was looking into the incident. The barrier near Bil’in runs into the occupied West Bank, surrounding the large and fast-growing Jewish settlement of Modiin Illit. In September 2007, the Israeli supreme court ordered that the path of the barrier near Bil’in be rerouted to return some of the farmland to the village, although it has not yet been moved. This is the story of Bassem “Phil” Abu Rahmah and his brother Ashraf. 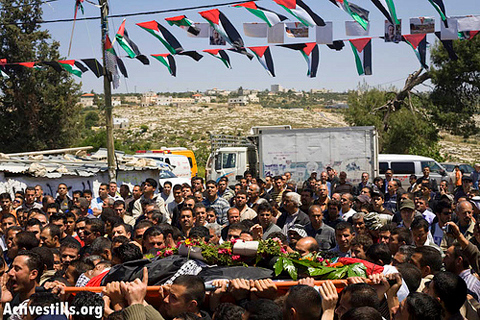 Bassem was killed by Israel’s military during a peace protest. He was unarmed and had no violent intent of any kind, in fact he was begging the Israeli soldiers in Hebrew not to fire directly at them, they did anyway, and struck Bassem squarely in the chest. Brian Ross, the soldier who murdered Phil, walks away scot free. But nobody is surprised or shocked, this what murderous governments do, and there is not a more rotten or illegal one in existence beyond Israel. Ashraf was detained by Israeli soldiers during a nonviolent protest in July of 2008, in the nearby village of Ni’lin, and after he was cuffed and blindfolded a soldier, standing next to him, pointed his gun at his leg and shot him with a rubber-coated bullet. The shooting of Ashraf was also caught on tape by a young Palestinian girl… . Israeli soldiers kidnapped the girl’s father later on as a punishment just for exposing the crime. ..
Abu Rahma’s brother Ashraf, slammed Israel’s decision, saying it amounts to giving their soldiers more chances to continue the killing of innocent, nonviolent protesters…. The photograph below shows Palestinian demonstrator, Ashraf Abu Rahma, 27, brother of Bassem, who was stopped by soldiers in July 2008, and cuffed and blindfolded for about thirty minutes before soldiers and border policemen led him to an army jeep, where a soldier aimed his weapon at the demonstrator’s legs, firing from about 1.5 meters away. Video clip of Ashraf’s shooting at this link. Basem woke Hamis and gave him his medicine, then off he went to visit another friend in the village who is ill with cancer. Then a little girl from the village wanted a pineapple but couldn’t find any in the local stores. So Basem went to Ramallah to get a pineapple and was back before noon for the Friday prayers and the weekly demonstration against the theft of our land by the apartheid wall. 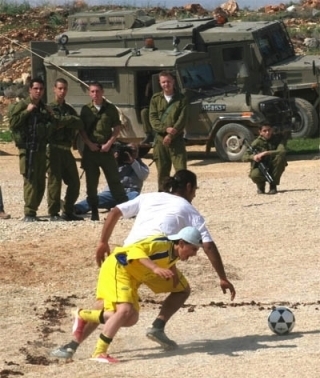 Pheel never missed a demonstration; he participated in all the activities and creative actions in Bilin. He would always talk to the soldiers as human beings. Before he was hit he was calling for the soldiers to stop shooting because there were goats near the fence and he was worried for them. Then a woman in front of him was hit. He yelled to the commander to stop shooting because someone was wounded. 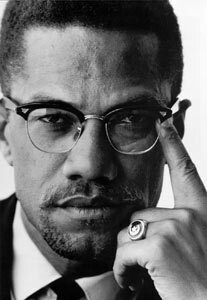 He expected the soldiers to understand and stop shooting. Instead, they shot him too.